Like the Water is a film that was co-written by Caitlin FitzGerald and Caroline von Kuhn and developed, produced, directed, shot, and edited by a team of women artists. Like the Water follows Charlie, a young journalist, as she returns to her hometown of Camden, Maine to write and give the eulogy at her childhood friend’s memorial. But she finds in the wake of her loss, the once familiar landscape of her life – her oldest friends, a family home, and the town where she knew every fence and tree – seems permanently altered. The stunning summer terrain of Maine and the warmth of her small town feels too vibrant – almost a betrayal. Some manage to assimilate grief gracefully, but for most it is a messy struggle, which shines a light the darkest corners of oneself. I received the news of the Maine International Film Festival invitation while at my parents’ home in Exeter, New Hampshire, only a short fifteen minute jaunt to the border of the great state from where our film was born. With not a moment of hesitation, we jumped at this serendipitous opportunity to bring our film back to the state where the incredible generosity and spirit of its residents allowed our work to come into existence and constantly surpass our (already high) hopes at each step of its life. As I drove to Maine this past Friday night, a wave of nostalgia and excitement hit me as I returned to Like the Water territory. This past weekend I went to Portland to attend the Camden International Film Festival’s screening of Tyler Hughen and Kahlil Hudson’s Low And Clear, an exquisitely shot and edited portrait of two men, their friendship, their expeditions fly fishing. Low And Clear was the SXSW Audience Award winner at the 2012 festival for Best Documentary and very worthy of its accolade. CIFF, under the great leadership of its founder Ben Fowlie (who we lucked out to get as an extra in some long overnights and hot days last summer in our film) brought Low And Clear and one of the film’s talented co-directors Kahlil Hudson on a tour of Maine to Portland’s Space Gallery, Rockland’s The Strand and North Haven’s Waterman’s Community Center. I got to catch this film at its kick off in Portland. Seeing a great film in the state of Maine? What more could one ask for on a Friday night! After a packed screening and Q&A, we headed to a brand new bar in Portland, LFK, launched by some folks involved with Like the Water, including Johnny Lomba who led the way with music for our film during our shoot and last fall and Kate Smith, our talented production and costume designer. LFK just opened this past week and in the massive crowd that was a Friday night out in Portland, I got to meet the owner of the home on Tenants Harbor, where we shot the lobster bake scene in our film. 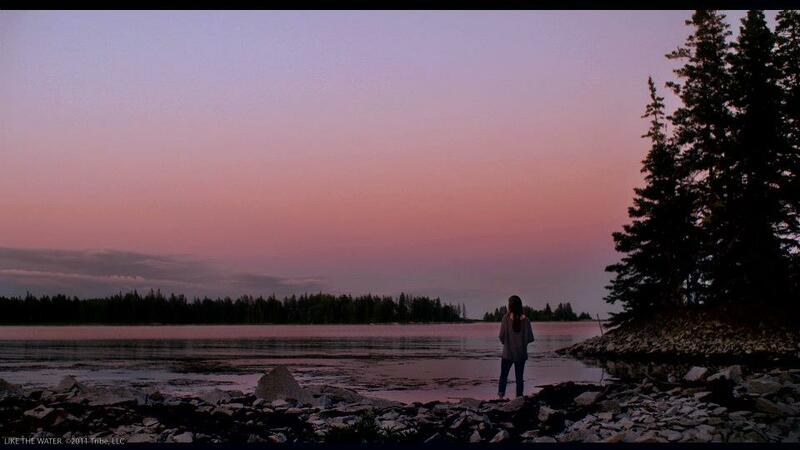 An easy consensus among cast & crew, this Maine picturesque location quickly became a favorite two days of our group. We found ourselves having to take moments to ask one another if this was actually our reality – this place too beautiful for words. Because of his friendship with Kate and his naturally generous disposition, this man had given over his family home to a film crew for two days of intense shooting – never having met us, no questions asked, no hesitation, simply saying, “Yes, by all means. It’s all yours.” Incredible. Maine. The state that has not slowed for one moment in its generosity and support of our work there. It was good to be home. I hope others find such incredible luck in their lives to find a road to that leads them to Maine.